Cranial Release Technique (CRT) provides powerful results. It shifts the brain back into a more relaxed state where it can assist the body in maintaining a proper functioning state. It helps to counter the effects of concussions, strokes, heart attacks, and may reduce migraines. Call today to schedule your CRT appointment and realize the benefits even before you leave the office! $20 – affordable health for you! No charge for veterans or active service personnel. Please continue reading for more information. How will I benefit? Improved posture, increased focus, “energy”, and a more symmetrical balance, better sleep, fewer headaches, reduced pain. Sessions are under 5 minutes so you have time to squeeze a CRT into your busy schedule. House calls and hospital visits are available for a small charge. Suffered a traumatic injury? Schedule your appointment asap. Students of all ages have reported increased focus as well as improved grades and test scores. Most students come once a month after their initial treatment program. 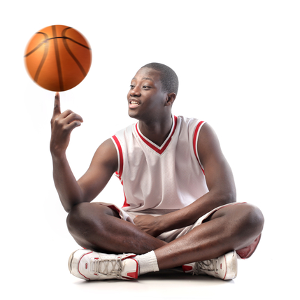 If you are an athlete, with regular sessions, you may become more ambidextrous. It may reduce the side effects of concussions, too. I have had wonderful feedback from athletes and service personnel who have been diagnosed with concussions and PTSD. They are now healing faster and with fewer side effects. They sleep better, have fewer headaches, and feel “happier”. How often do you need a CRT? Depends on the condition. Initially, you may require more sessions in the first few weeks then monthly or “as needed”. The correction allows the body to experience a deep release of tension caused by stress on the nervous system. This includes all of the muscles and connective tissues. I will take pictures of you “before” and “after” the CRT-you may notice an immediate difference in posture and symmetry. Before your CRT, you will be muscle tested for strength and balance, then muscle tested again post CRT. This will show you how CRT will balance and normalize not only your body but “re-boot” your brain, too. CRT can be experienced by those who have fused vertebrae, spinal screws, spinal rods, arthritis, and other conditions. So call today! You will benefit from your CRT session with increased focus, improved posture, “energy”, and a more symmetrical balance. It takes up to 24 hours for the benefits to be fully realized. $20 per session. It is priced so you can afford not just one session but multiple sessions, including monthly “maintenance”. No charge for veterans or active service personnel. Call Karen today at (618) 696-6411 or complete the Contact Form to schedule your healing session. We understand the events occur that may prevent you from keeping your appointment, however, management reserves the right to charge $20 for a no show.